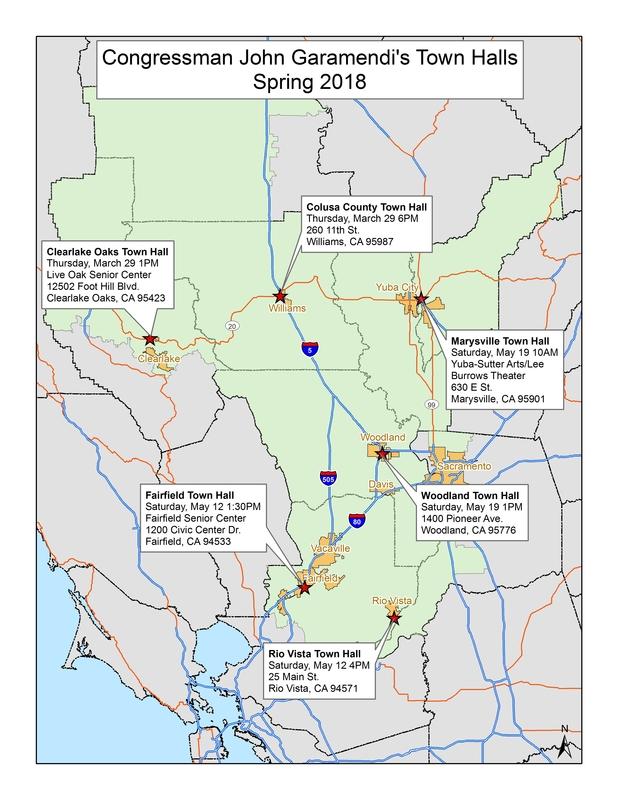 Congressman Garamendi will be holding a number of town halls throughout the district in order to connect with his constituents. This is your chance to make sure your voice is heard! Come to hear more about what’s going on in Washington – from nuclear policy to the Russia investigation, from healthcare to DACA. We urge you to tell your stories, and to ask questions about the issues that matter most to YOU! This is how we hold our representative accountable! Rep. Garamendi doesn’t always vote the way we want, but if we give him support and feedback at these town halls (along with calling through Amplify), we can certainly change that. If you’d like to help us brainstorm topics and questions, be sure to attend our next general meeting in Woodland, or in Davis.